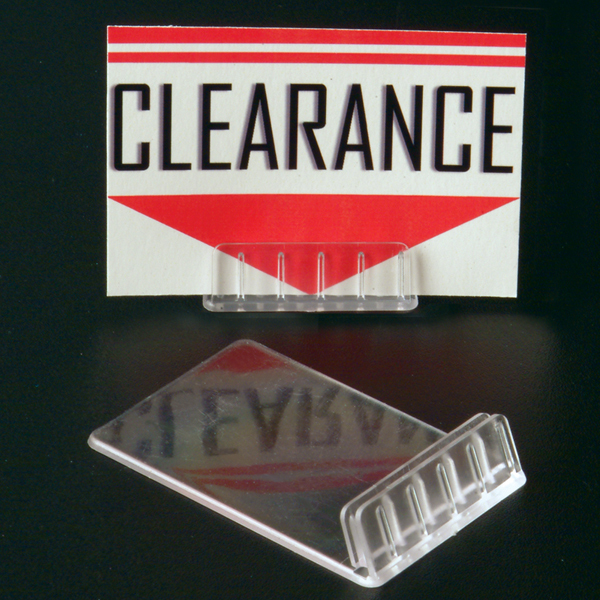 Angled Countertop Sign/Card Holder, Product Signage Communications, Clip Strip Corp. 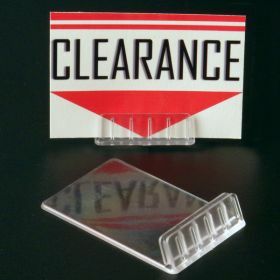 Minimum quantity for "Angled Countertop Sign/Card Holder, ACH-2" is 100. 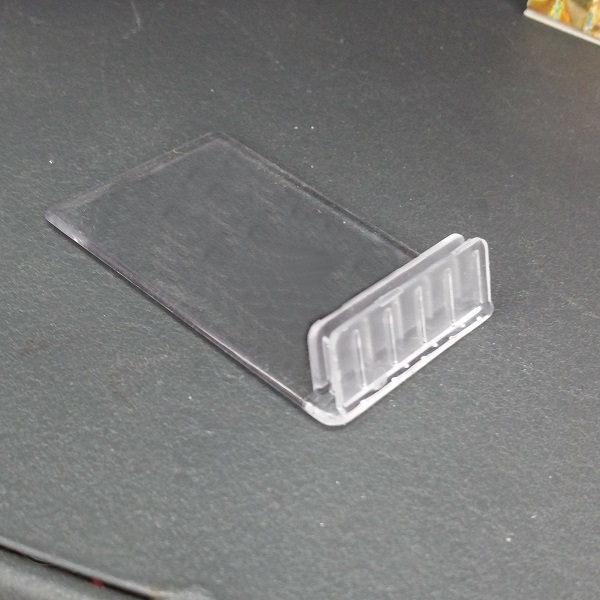 A small and very easy to use retail sign holder. Best used at eye level or lower because of it's angled feature. Great to place next to a specific product in a department store to provide customers with sale info or in a deli case next to each food item with prices etc.. It simply is an easy to use angled sign holder which is a great fit as a on the shelf "product" talker at the point of purchase. 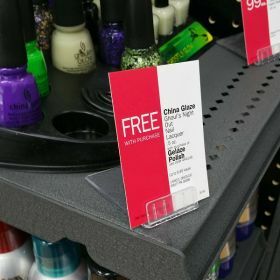 Easily change out messages and/or move the sign holder anywhere throughout the store. The angle feature makes for easy reading for the customer.